VietNamNet Bridge - If 300-400 more small- and medium-sized hydropower plants are built, the total capacity would be 3,000-4,000 MW, or 15 billion kwh of electricity, according to the Vietnam Environment Administration (VEA). VEA’s chair Tran Viet Ngai has proposed reconsidering the decision to remove small & medium hydropower projects and allow investment to resume. Many hydropower plants were built in 2010-2014, affecting the forest environment. Because of this, the NA decided to remove 400 projects from the hydropower development program. However, according to Ngai, over 300 small & medium hydropower projects have been built with the total capacity of 4,000 MW which provides 10 billion kwh of electricity to the national grid every year. He emphasized that many projects have been operating in a stable way, while forests have been replanted and the projects do not have any negative effects on people’s resettlement or lives. He believes that it is necessary to inspect the projects which have been removed and develop effective projects. These must be projects with high economic efficiency and high capacity (over 30 MW). The projects would be useful as they can provide electricity to remote areas, thus easing the overload on the national grid. The projects would be resumed only if the investors can strictly follow the procedures of building and ensuring the operation of water reservoirs, and minimizing deforestation. According to Phan Duy Phu, deputy director of the Hydropower Department of the General Directorate of Energy, in order to develop small and medium hydropower plants in a sustainable way, it would be better to decentralize to local industry departments. 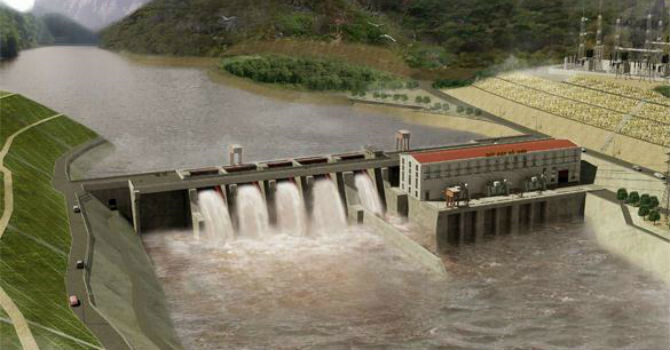 It is also necessary to strengthen cooperation among ministries, branches and local authorities to program the hydropower plant network, and the operation and exploitation of the works. Phan Van Cuong, deputy director of the Lao Cai provincial Industry and Trade Department, said small and medium hydropower plants can bring big benefits to local economies and help ease electricity shortages, provided that the projects are assigned to capable investors. Experts have also urged the development of renewable energy. Ngai said developing solar energy in Vietnam is a feasible solution. Solar energy is available in Vietnam all year round. Meanwhile, with modern technologies and the 4.0 industrial revolution, wind turbines are getting cheaper. Vietnam has 2,000-3,000 hours of sun a year for power exploitation. Under Prime Minister’s Decision No 11, Electricity of Vietnam (EVN) has the responsibility of buying electricity from solar power projects at VND2,086 per kwh, or 9.35 cent.